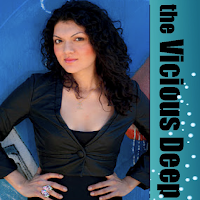 One of the titles I’m most anticipating this year is The Vicious Deep by Zoraida Córdova. Along with Lies Beneath, it’s another mercreature story with a male POV, which is something I really appreciate in young adult literature–because we sure don’t see enough of it. Which got me to thinking…if you were an ordinary girl who met a merguy, that’s got to be a pretty awkward situation to work out logistically. How would that work, exactly? There are rules, you see. Mermen are different from regular men. For one, there’s the tail. Most men don’t have tails. At least, none that you can see. Mermen have always been elusive. Unlike their lady counterparts, mermen don’t seek the attention of mortal women in the same way mermaids seek out lovely drowning sailors. They are stubborn, beautiful, and honest to a fault. Rule #1 – Make sure you’ve plenty of food. Though some merpeople have an underwater veggie diet (there are endless things to make with seaweed) many are carnivores. For instance, Tristan Hart never says no to a morning stack of bacon. Rule #3 – Learn to swim. Seriously, you’ll need to one-up Michael Phelps because unlike, Tristan Hart, some mermen won’t let you ride on their backs while he does all the paddling. Those are some starter points to dating a merdude. 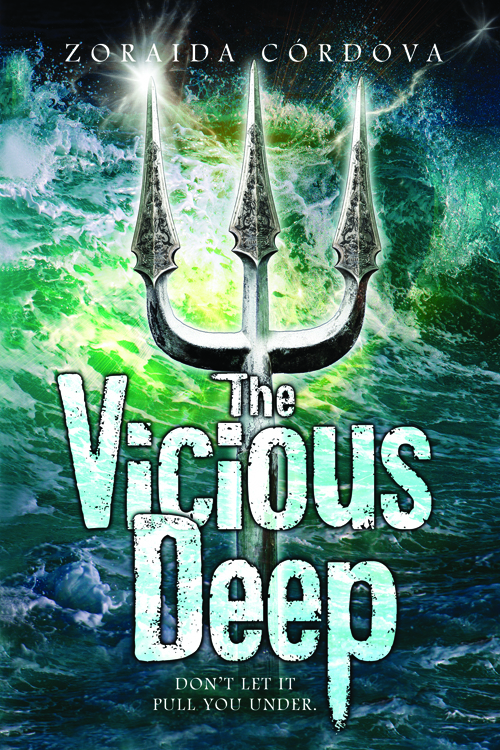 When I set out to write The Vicious Deep, I always knew my main character would be a guy, partly because I wanted to reverse the roles of the traditional mermaid/human story, but also because I wanted to explore new territory. I wish there were some giant bible with clues to the mind of men. Thank goodness there isn’t one because it would be pretty gross. It was one of those things that came organically, hell, maybe in my past life I really was a prince of the sea kingdom. Then again, thinking like a man isn’t exactly rocket science. Most of my best friends are guys, and every guy I’ve ever dated has had the mental capacity of a 16 year-old, so I wasn’t shy about writing in that POV. Besides, as a woman, I’ve always wondered what it would be like to look down and see something grow without having any control over it. Of course, I’m referring to Tristan’s mer-tail. I am by no means an expert on guys. As I writer, I did what writers do best. We guess. We put on our best acting caps and immerse ourselves in these roles. Wait, I lie. I did do some research. But all of it involved searching lifeguard images on Tumblr. Really, it was arduous. Finally I came to the conclusion, men are not exactly a mystery. However, no two men are the same the way no two mermen are the same. When you get to know Tristan Hart and his friends, you’ll see what I mean. Thanks so much for your thoughtful and hilarious post, Zoraida! I’m sure our readers will file this away for future reference. You just never know when you might be sitting on a dock somewhere and are suddenly approached by a handsome merman. Thanks to our generous friends at Sourcebooks, one of our lucky readers will win an advance copy of Zoraida’s book! 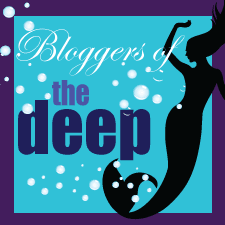 Just fill out the Rafflecopter form to enter, and leave a blog post comment telling us your favorite thing about mermaids for extra points. Contest is open internationally. And be sure to be on the lookout for The Vicious Deep, releasing on May 1! You can also follow the latest news and updates for the book on Zoraida’s blog and Twitter. Spirit: Tour Kick-off with Secrets of the Elemental Series + Giveaway! Followed you over from good reads and realized that I had been here before, to read my good friend Zoraida’s guest post! Loving the rest of your blog, too, as well as your great goodreads reviews! My favorite things about mermaids are that they are so graceful and they have lovely, beautiful, swishy, colourful, gliterry, breathtaing tails. :D I have been waiting for a long time for Z. to have her work published! I can’t wait to read this! I love sea creatures and under the sea stories. It is such a magical and mystical place, and we hardly know anything about the sea. Thanks for the chance to win! Such an awesome post by the author! I like the way she thinks. My fav things about sea creatures would have to be the fact swimming comes so naturally for them, whilst we have to learn. Also how intimidating they all seem! Even the smallest damn fish is somewhat scary in a “I don’t know what potential magical powers you have” way. lol. Thanks for the awesome giveaway, Wendy! Ha! Love that guest post & I didn’t realize it was male POV which makes it a definite must read for me. FANTASTIC guest post, so funny! I already wanted to read the book but if it has as much WIT in it as this post it will be a WIN for sure! I’ve read a few mermaid books lately and I think my favorite thing about the mermaids in them is that they all have a different mythology about them. Something is different about each book, each set of merpeople, and I just love that. Never gets boring! Thanks for the post, ladies! Loved it! My favorite things is that they just live under water :D Breathing down there, how great would that be. My favorite thing about mermaids is…well honestly I can’t decide on a favorite thing. Not only are mermaids mysterious and alluring they live in the depths of the ocean where there is an entirely different world from ours. There could be anything down there and we can’t see it. I have been obsessed with The Little Mermaid (both the film and the Hans Christian Anderson fairy tale) since I was a child and when I was little and in swim class I refused to swim on top of the water but rather I would swim with my legs together under the water. It’s probably lame, but I think the reason I keep reading mermaid books is not so much because I like mermaids, or even mermen (mostly I’m confused and grossed out thinking about how they make more merpeople). Really, I think it’s just because I love water and like to imagine living in the ocean. My favourite thing about mermaids is their alluring quality and the mystery behind them. I was always interested in the old legends/myths about sirens and mermaids luring young men to them. I find a mean mermaid all that more interesting! I guess what I like about merpeople is nearly everything about them. Having a tail, ability to breathe underwater, torpedo through the water while racing dolphins and not mention not having to wear clothes without people looking at you weirdly or with disgust. They have long, beautiful hair, they’re incredibly graceful and can breathe under water. And the Little Mermaid has always been my favourite Disney movie (go Jodie Benson!). Great post! I’ve wondered myself about the logistics of merpeople! My fav thing about merpeople is their swimming ability, the grace. I can swim and do well enough to get where I want to go. But I’m a technically crappy swimmer. I like that Merfolk can hang out in the depths of the sea, where it’s too cold and too dark for us humans to exist (unless we have a submarine or something lol). I envy them that. 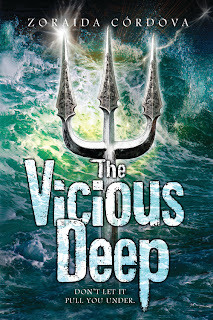 I’m really excited to read The Vicious Deep! It’s been on my to-read list for ages. I’ve loved the idea of mermaids/merman ever since I first read Hans Christian Andersen’s version of The Little Mermaid. I would love to have the freedom to swim wherever I wanted, and to live under the water with all the different sea creatures. But there’s also a sort of tragic-ness about them, because they would have to choose between their two worlds if they ever fell in love with a human. WENDY. I love this post and, honestly, you’ve just tackled a question that has haunted the recesses of my very gutterlicious mind. Now, I can throw sense to the wind, round up some bacon, honesty, and swimming techniques and be done with the seventeen/eighteen-year-old human boys and pursue the ones with the tails… IN THE BACK. My fave thing about sea creatures is that they always look like they’re having a great time, swimming and bobbing about (unless they’re being chased by a shark or killer whale, that doesn’t look fun). I also really love dugongs, cutest sea creatures ever! There’s so much untapped potential! I know there was a spate of merpeople books last year, but they’re still so new and fresh, unlike vampires or werewolves or angels. There are so many stories to tell, so many twists to make in the fable. That and they’re so pretty. That’s true. Werewolves, vampires and angels are over done. I think maybe the reason merpeople have been left relatively alone is that its a difficult situation to write an entire book about…no? Maybe just me. Thanks for hosting the giveaway too! Can’t wait to read this one. That research does seem “arduous” Zoraida. You poor thing having to view all those lifeguard images! Please let me know if you need help next time!! Lol! Great post! Thank you for the giveaway! I actually have loved this name since I was little, Damaris–that was one of the things that made this particular mercreature book catch my eye! Hopefully this Tristan will win your heart and mine. ;) Thanks for stopping by! I’m jealous you already have your copy, Sam! Mine is still on its way, but it’s awesome that we got a little sneak peek of what Zoraida’s style and humor are like. Hope you enjoy the book! “Puh-leeze. Your lust smells like burning sugar.” Lol! What a fabulous and funny idea for a post, Wendy! My favourite thing about mermaids is that they live in the sea and get to hang out with dolphins and other underwater creatures. It’s like Ariel but in reverse – she wants to be a human and most of us occasionally fantasize about not being human and/or want to be extraordinary. Thanks Z! I was lucky that the author was willing to play along, hah. Fabulous post! Zoraida’s sense of humor is one of the reasons I’m so eager to read the book. Hee hee, will Tristan be appealing enough to win this fair maiden’s heart? Or will the Of Poseidon guy win out? Merguy wars over Mimi Valentine! That’s what we should have done for this post, hah. Maybe Tristan has magic so you won’t drown, Elena! You never know. ;) I can’t wait to find out if this book is as fun as it sounds. And thank you for this helpful post. Ever since developing a massive crush on Ariel’s father, Call me Mr. Triton, I’ve been wondering how to bait a merman of my very own! Mermaids get to swim with dolphins, whales and all sorts of other amazing creatures. They also get to explore vast areas of our world that I will never get to! I have ALWAYS wanted to swim with dolphins! Swimming next to a whale would probably scare me, though, they’re so giant. Being able to explore so deeply would be awesome. I like that when not in water they are very much like humans. Also, it’s wonderful that the live underwater which is its own world. Very true–it’s always interesting to see how authors write the human side of mermaids! And yes, I love it when underwater worlds make you feel like you’re there. It can be a really beautiful experience in the hands of the right author. FINS. And sparkly tails. And their smart-assness (is this even a word? XD). I vote smart-assness into being. :D I’m glad you’re enjoying VICIOUS DEEP, I can’t wait to read it, too! my fave thing is all the romantic legeends surrounding them :) thank you!! Ah yes…there’s so much romance and tragedy when it comes to mermaid stories. Another reason I love them, because I’m a sucker for sad/impossible love stories. I loved this post! Now I need to fetch myself a merguy… I wonder if bacon would be a good bait? thanks for the giveaway! I don’t know what my favorite thing about mermaids is. they’re just so COOL. Fingers crossed that it’s fun, Heidi! :) I love the author’s sense of humor here, so I’m looking forward to reading this, too. A man Bible would definitely come in handy, hah. Haha – burning sugar, huh? Sweet! And bacon? Mmm. I was just talking to someone the other day about how almost all books I read talk about food in some way–and look, we haven’t even gotten to the book yet and there are already two things to salivate over! I’m looking forward to reading this too, it sounds pretty intriguing. :) Thanks for stopping by, Christy! Thanks for the giveaway! This sounds like such an awesome book! Ooo, the frightening part always interests me, Jana. But I’m okay if Tristan Hart doesn’t turn out to be the killing type of merman too, hah. Yes. *sigh* We know so little about the world under the sea, so I love reading books that are set there. I love the mythology. There are so many different directions you can go. Plus, I love swimming. To not have to breathe….is just amazing. It’s very true–mermaids have a long history in folklore, it’s so interesting to see what each author decides to use and/or how she embellishes. Being able to swim endlessly forever sounds amazing for sure. This post was awesome!! I am a bacon lover myself, so I think Tristan would be okay hanging out with me. ;) I love the ocean. I used to want to be a marine biologist. Well, I still do, but…anyways. I am just fascinated with mermaid stories. I would love to live in the ocean among the other sea life. I think Tristan would have to fight me for that bacon, Amy. My husband certainly has to fight me! ;) I actually entertained notions of becoming a marine biologist when I was little, too. Dreamy. Such a fun post! I’m really excited to read this one! I think my fave thing about underwater creatures is how elusive they are, how little I know about them. They’re intriguing and mysterious and I’m so curious to see what makes them tick.